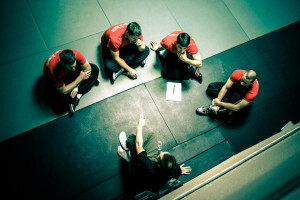 To be an effective Krav Maga instructor, you must have a good understanding of human behavior. You must understand the core purpose of self defense and what drives students to train in self defense. In order for students to listen and relate to the physical material that you are teaching, you must understand your students’ personal motivations and patterns of behavior. 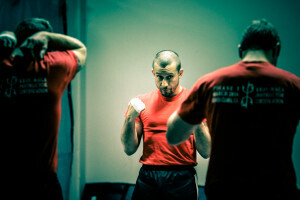 At Tactica’s Krav Maga Institute, we give you skills and knowledge to better understand and relate to your students. The training team at Tactica Krav Maga Institute comes from a diverse and experienced background, drawing from decades of teaching Krav Maga across the civilian, military, and law enforcement aspects. You will learn the core philosophy and purpose of Krav Maga as a self defense form from experts who have experienced the evolution of Krav Maga from its birthplace in Israel into a globally recognized self defense system. KMI presents a unique opportunity to train in high level Krav Maga so that you can continue your growth as a student of Krav Maga while you teach Krav Maga to the next generation of students. At KMI, we put a strong emphasis on the art of teaching. It is not enough to know material and execute techniques perfectly. A true teacher must know the material and fully understand the importance of teaching, as well as their responsibility as a teacher. Teachers must be able to transfer their knowledge correctly and effectively to a diverse body of students. Instructor training at Krav Maga Institute includes drills and practice teaching sessions so that you can directly apply your learning and get feedback in order to grow as an excellent instructor. We at Tactica’s Krav Maga Institute are passionate about self defense (especially Krav Maga) and firmly believe that effective instructors constantly continue to train and pursue their own growth. Just as a boxing champion will always continue his training to sharpen and maintain his skills, we all consider ourselves perpetual students and pursue growth and improvement. We insist that our instructors keep up their training and education. Continuing education improves the quality of training for your own students, and with higher quality, we can improve the respect of Krav Maga as a high quality reality based self defense system.